The Row's beige 'Tango' sandals remind us of vintage styles worn by ballroom dancers and they're just as easy to move in. 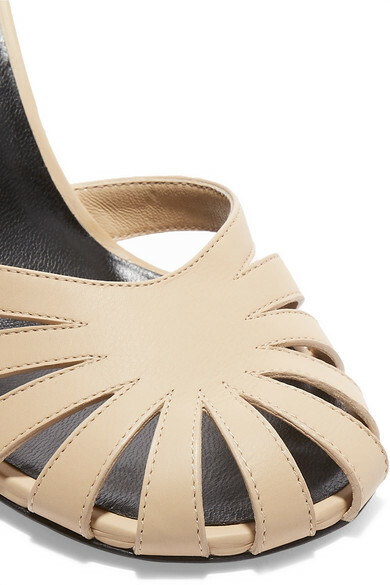 Made in Italy from smooth leather, they have cutouts along the rounded toe and are set on a sturdy conical heel. Wear yours with anything from cropped denim to patterned dresses. 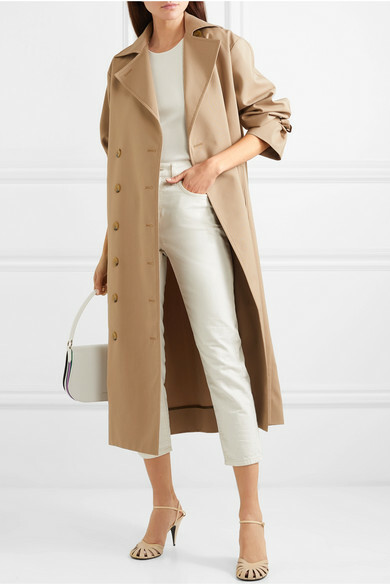 Shown here with: Current/Elliott Jeans, Totême Trench coat, CALVIN KLEIN 205W39NYC Shoulder bag.